US FDA advices for not using benzocaine for relieving teething pain in babies under 2 years of age, as it may cause methemoglobinemia a serious life threatening condition. 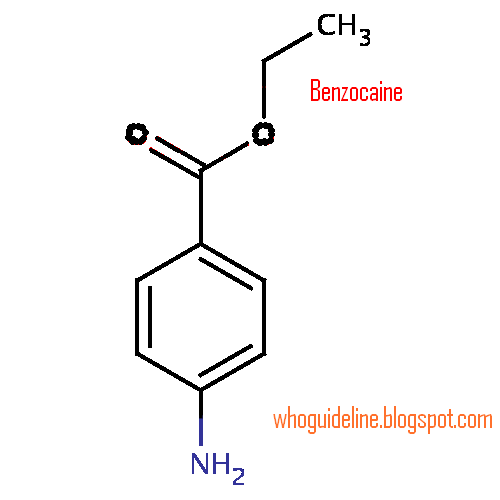 Benzocaine is one of the most widely used local anesthetic drug , and it enjoys status of a drug of choice in dentistry for relieving pain while dental surgery . is available in form of liquid , gel and sprays , and injection as well. Which is available in form of gel and creams sprays and in numerous other applications for topical use., of which benzocaine gels are used for reliving teething pain in babies , by applying small amount of gel over teething surface in baby’s mouth . it gives relief from teething pain by virtue of its anesthetic action. US FDA has advised general public for not using benzocaine gel or any other formulation containing benzocaine for treating or reliving teething pain in baby under two years of age, as it may lead to formation of serious life threatening condition known as methemoglobinemia, which may result in to life threatening events. US FDA has advised for not using any of over the counter drug product or formulation which contain benzocaine, in babies under year 2 years of age, such products must be verified before purchasing for their contents. 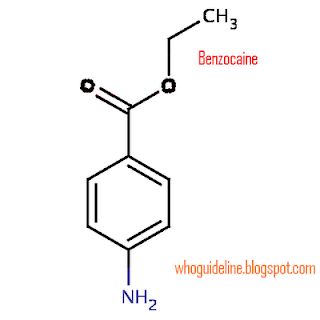 Though benzocaine is advised for not using in children under age of 2 years , it has no serious side effect on adults. Even though patients suffering congestive cardiac diseases, and heart diseases should avoid use of preparation contain benzocaine as local anesthetic. US FDA has advised for storing container of preparation which contain benzocain out of reach of children and have advised for limiting use of preparation which contain benzocain , they should not be used more than 4 times a day benzocaine should not be used frequently. It is reported that children treated with benzocaine for reliving teething pain developed methemoglobinemia immediately after application of benzocaine gel in 5 to 6 hours of application. Methemoglobinemia is a condition where oxygen carrying capacity of red blood cell is drastically reduced , as the hemoglobin in them is not able to deliver bound oxygen in to tissues where it is required which leads to depletion of oxygen in brain tissue, which may result in permanent brain tissue damage, resulting in depression of respiratory center leading to serious life threatening events, may also precipitate congestive cardiac heart disease. Benzocaine is an ethyl ester of para-amino benzoic acid , it is a lipophylic drug which has higher solubility in organic solvents and fatty tissues, due to which it has high affinity for nervous tissue, it act as an anesthetic agent by virtue of its property of binding with sodium channels over neurons thereby preventing entry of sodium ions in to nerve cell, a first step in conduction of an impulse, which is also called as depolarization of nerve cell, a mechanism by which an impulse of pain or any other sensation is conducted through nerves to central nervous system where it is perceived as pain or respective senses. Benzocaine is also used along with lubricant to relive pain while inserting catheters and endoscopic tubes, intratracheal catheters, pharyngeal and nasal airways.